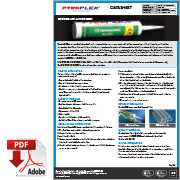 Pyroplex® CE Intumescent Acrylic is used to form linear gap seals were gaps are present in wall and floor constructions and linear joints where wall and floor constructions abut. 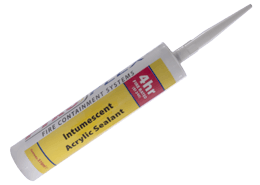 The sealant can also be used to form a penetration seal around metallic pipes and electrical cables to reinstate the fire resistance performance of wall and floor constructions, where they have been provided with apertures for the penetration of services. Pyroplex® Intumescent Acrylic has slight intumescent properties that cause it to expand on exposure to elevated temperatures. 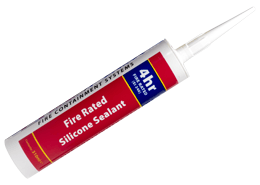 The intended function of the sealant is to reinstate the fire resistance performance of fire compartment. 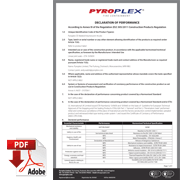 Pyroplex® CE Intumescent Acrylic can provide up to 240 minutes fire resistance integrity depending on application and backing material and has been tested to BS EN 1366-3 and BS EN 1366-4. 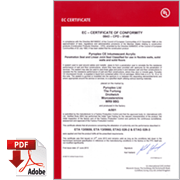 Extended shelf life – 24 months. Gaps at the head of flexible wall constructions. Gaps in rigid wall and floor constructions. Joints between rigid wall and floor constructions. Metal pipe services penetrations through rigid wall and floor constructions, up to 150mm in diameter, with and without combustible insulation and electrical cables. 1. Wear Suitable protective clothing, skin and eye protection. 2. Ensure all surfaces are clean and dry. 3. 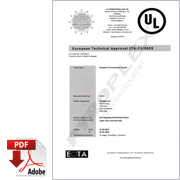 Position appropriate backing material within the gap at the minimum depth to allow for the specified thickness of sealant. 4. Gun the sealant into the opening ensuring that the gap is fully filled and scrape away any excess material. 1. Tightly pack mineral wool backing material (nominal density kg/m2) within the opening and around the service(s), leaving a minimum 10mm depth to the plane of the floor/wall surface at both sides. 2. Gun the sealant onto both exposed faced of the mineral wool backing and around the service(s), ensuring that good contact is achieved with both the service(s) and sides of the opening. 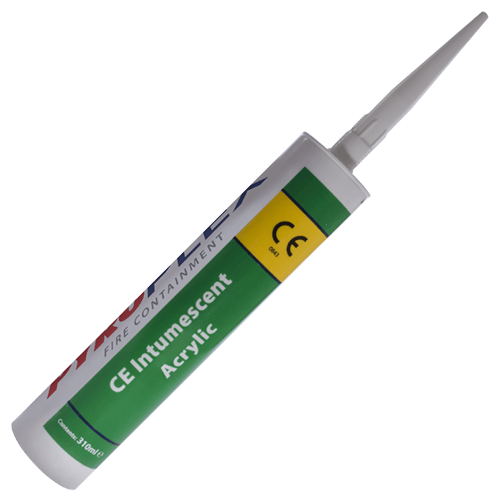 Scrape away excess material ensuring that a minimum 10mm thickness of sealant is achieved. 3. Tool the surface of the seal as required within 30 minutes of application using a wet spatula. 4. Clean tools using soap and warm water.